Beer + Art + Crafts! Grab a beer and visit my booth on Friday, June 21st at the third annual Holiday Bazaar! We’re kicking off the first official day of Summer in Miskatonic Brewing Companies Barrel Room! This event will host a myriad of talented, local artists ready to delight you with their creations and help you shop for loved ones and yourself to further brighten your lives with the coming summer sun. I'll have large and small prints, greeting cards, and postcards for sale as well as a large canvas print available as a raffle prize! 100% of the raffle proceeds will help ship books to children in the village of Bukit Lawang in North Sumatra, to help them practice their skills of the english language and to inspire and empower them to become the next stewards of their lands. 20% of my print proceeds will be donated to the Orangutan Information Centre in North Sumatra to aid in their work in conservation and wildlife rescue. The rest of the proceeds will help fund the documentary film project I’ll be working on in Sumatra early next year. Grab a beer and visit my booth on Saturday, Dec 8th at the third annual Holiday Bazaar! I'll have large small prints, greeting cards, and postcards for sale as well as a few raffle prizes. 50% of my print proceeds will be donated to the Orangutan Information Centre in North Sumatra to aid in their work in conservation and wildlife rescue. This event will also host a myriad of talented artists ready to delight you with their creations and help you find the perfect gift or something for yourself! Continuing with the Miskatonic Bazaar tradition of giving back, a portion of Miskatonic's proceeds will benefit Worldbuilders, a charity founded by author Pat Rothfuss in order to use the collective power of readers, fellow authors, and book lovers to make the world a better place. All artists will be donating a portion of their proceeds to various other organizations around the globe as well! Come out to Miskatonic Brewing Company on Saturday, June 3rd from 4:00pm - 6:00pm in the breweries private event space as Mike Talladen shares images and stories from his travels documenting the negative impact of palm oil production in North Sumatra. This informational and photographic presentation is a fundraiser to benefit the Sumatran Wildlife Sanctuary. Space is limited so purchase your tickets today! 100% of the proceeds will be donated to the Sumatran Wildlife Sanctuary! Each ticket includes one complimentary pint of beer. Local Chef Bryce Mooney is cooking up some delicious snacks to pair with the wonderful assortment of beers on tap. Snacks will be provided exclusively for event guests from 4-4:30pm so get there early before you miss out! Space is limited so purchase tickets today! Purchase tickets and see more info here. Grab a mug of coffee or tea and visit my "booth" as my takes over the walls of Peets Coffee + Tea in downtown Downers Grove for a pop-up print sale. I'll have an assortment of images for sale as large and small prints as well as an array of postcards and greeting cards. A large, canvas print will also be available as a raffle prize. 20% of all print sale proceeds and 100% of raffle proceeds will be donated to the Sumatran Wildlife Sanctuary. Grab a beer and visit my booth on Saturday, May 5th at the second annual Spring Bazaar! I'll have large, medium, and small prints for sale as well as a large canvas print available as a raffle prize. 20% of my proceeds will be donated to the Sumatran Wildlife Sanctuary. This event will also host a myriad of talented artists ready to delight you with their creations and help you find the perfect Mothers Day gift or something for yourself! 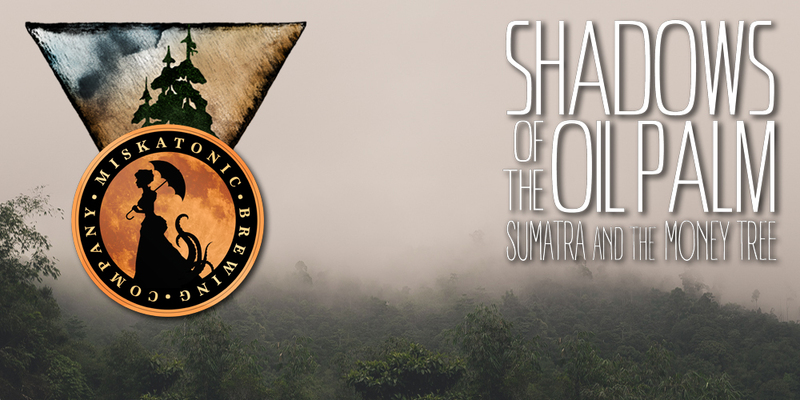 Come out to Old Irving Brewing Company on Wednesday, March 1st from 7:00pm - 9:00pm in the breweries private event space to see images and stories from Mike's travels documenting the negative impact of palm oil production in North Sumatra. This informational and photographic presentation is a fundraiser to benefit the Sumatran Wildlife Sanctuary. Space is limited so purchase your tickets today! Each ticket includes one complimentary pint of beer. Purchase tickets and see more info here. Come out to Miskatonic Brewing Company on Saturday, February 24th from 6:00pm - 8:00pm in the breweries private event space as Mike Talladen shares images and stories from his travels documenting the negative impact of palm oil production in North Sumatra. This informational and photographic presentation is a fundraiser to benefit the Sumatran Wildlife Sanctuary. Space is limited so purchase your tickets today! Each ticket includes one complimentary pint of beer.Purchase tickets and see more info here.